AEIS is Robust Recording solution for diverse interaction capturing multi-branch enterprise where physical and geographical boundaries do not limit. It is a hybrid system that enables conversation happening over IP, Digital, Analog and RF both on trunk or extension over a common platform leaving no space of dependability. The system offers centralized capabilities where the data can be maintained at the head-quarter and the individual locations can access local voice recording. The system offers the latest technology and unique proposition for organizations to manage Legal compliance, Quality Monitoring and Surveillance to benefit business owners, safeguard the interest of caller and maintain a high standard of service offerings to maintain a global standard. 1. Multi-branch Management: The system offers consolidated recording of different branches leaving management with enhanced control of geographically distributed offices. 2. Downtime Alert: The system is designed with alerting feature which triggers SMS or Email Arcane Logger is not functioning or out of network. 3. Centralized Data and Management: The system offers a common panel to the management to keep an eye on national and international offices. 4. Security of Data: The system offers distributed yet centralized data storage making a redundant storage mechanism leaving no space for data loss. 5. Quality Monitoring: A customized quality monitoring module is offered with AEIS to score an employee on telephonic behavior. 6. Integration with Many PBX and Phone Systems– AEIS seamlessly integrates with the telephony equipment from the leading manufacturers such as Avaya, Alcatel, Ericsson, NEC, Cisco, Aastra, Siemens, Mitel, Nortel and many others. 7. 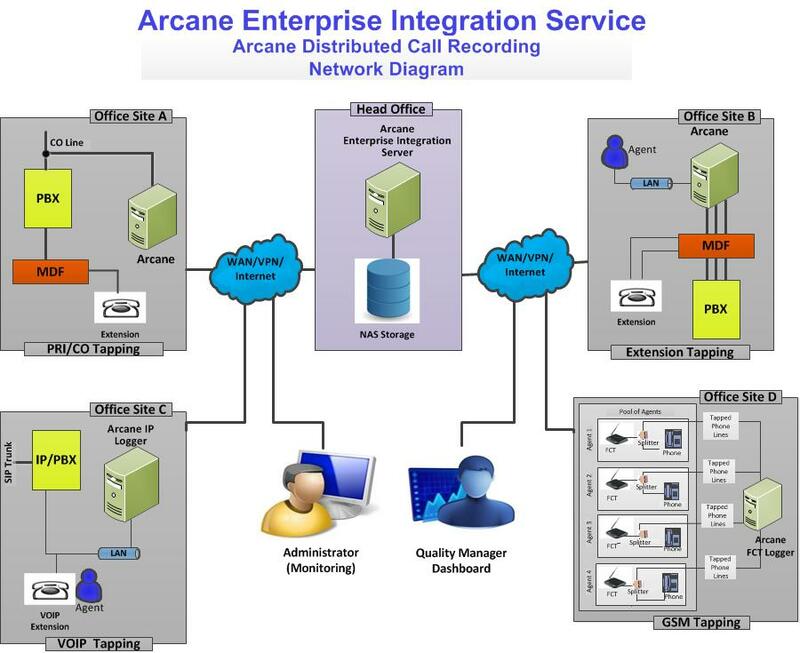 AEIS On Hybrid Recording – AEIS supports hybrid recording at multiple branches. A Distributed sales or service-oriented business, your sales productivity can be improved along with enhanced customer satisfaction level. Security Police Agency, AEIS for you is a platform to maintain a repository of recoding being done by different investigation officer within a range provide intelligent voice maps for law enforcement activities.